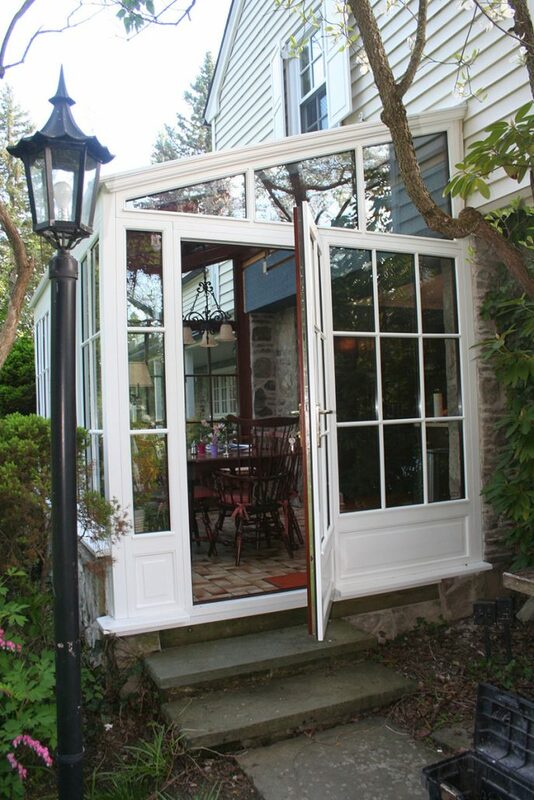 Originally a Pella sunroom, the structure had begun to leak and needed to be replaced. The leaking water had begun to rot out the structure’s framework. 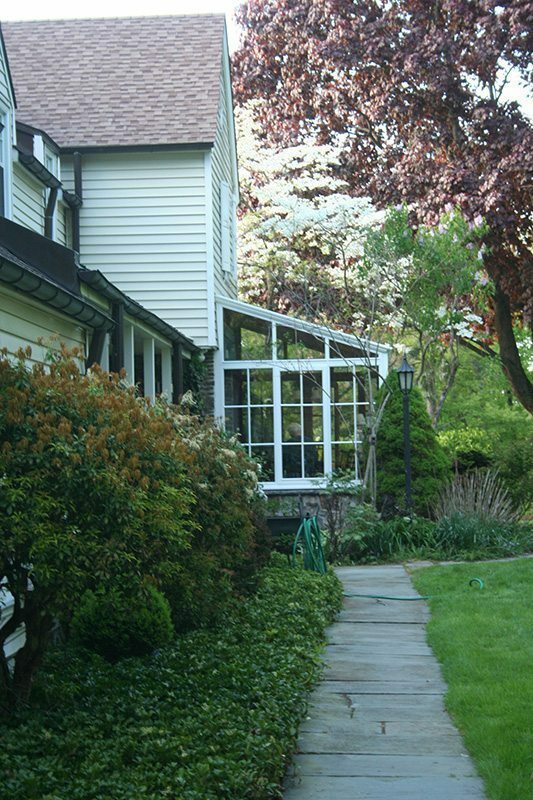 In addition, the single-pane glass, that had been installed originally, offered no thermal protection against seasonal heat and cold. 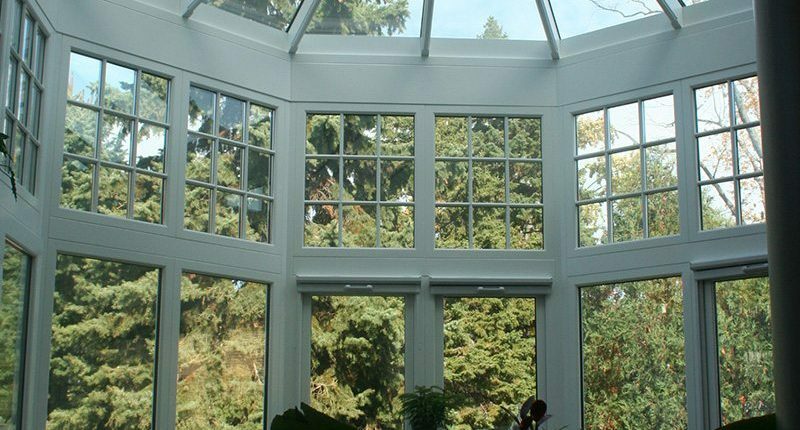 The homeowner used the sunroom primarily as a greenhouse for a jungle of houseplants. They, of course, felt that the humidity generated from the leaking structure suited them just fine. 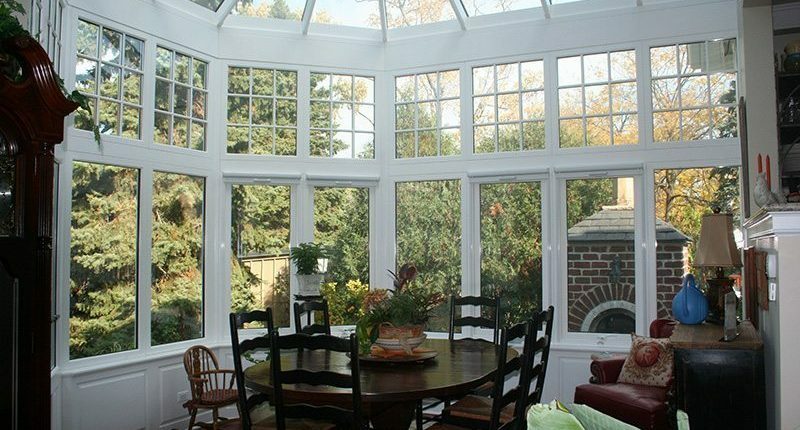 Conservatory Craftsmen was called in to perform a simple replacement, however, when the homeowner saw what could be accomplished with today’s technology, the project began to upgrade. 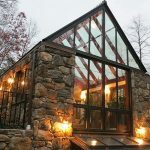 Soon, the woman of the house decided that instead of a greenhouse crammed with plants, she would prefer an extension of the kitchen that would include a dining area with a view of the secluded back landscaping. 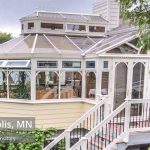 His thirty-year romance with his man-cave greenhouse had quietly turned into her new love affair with a quiet and peaceful conservatory with a view. 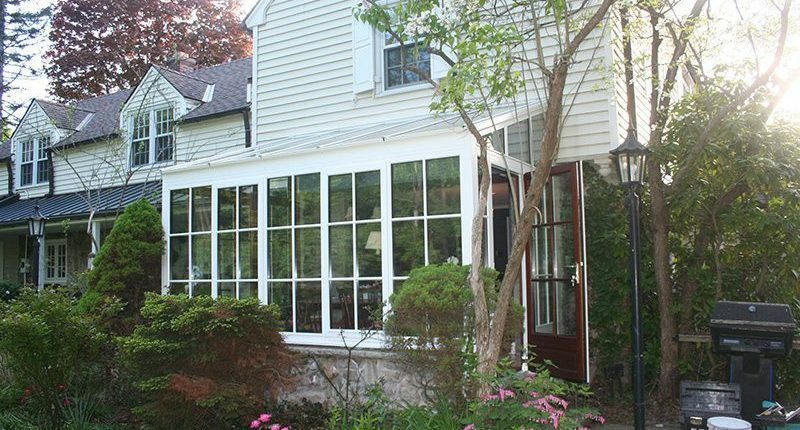 And, bless him, he loved her so much that you would have thought the idea of a formal dining area instead of a greenhouse had been his all along. 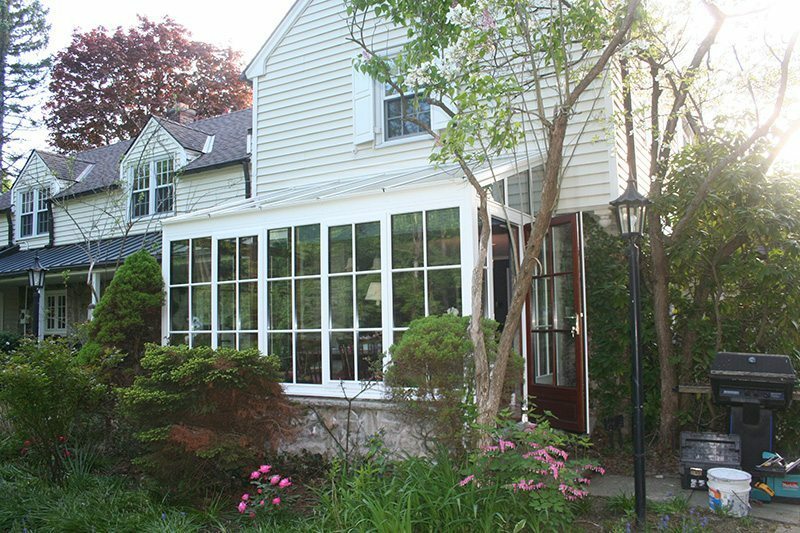 Jim recommended that they upgrade the materials that would be used to trim the structure both inside and out. To match the kitchen cabinets, Conservatory Craftsmen took a cabinet drawer to be run through a color scanner and we matched her cherry-oil stained cabinets perfectly. To really get the best match, we made sure we purchased new trim that was composed of the same wood species and the same grain cut. 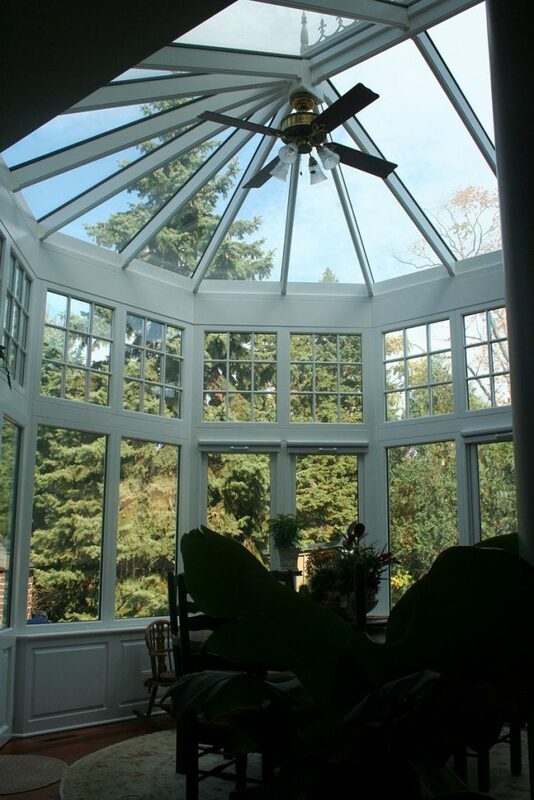 She loved the conservatory and she loved her husband, Bob, for giving in to her so easily. Bob tells us that she took her coffee at that table almost every morning until her passing a couple of years ago. 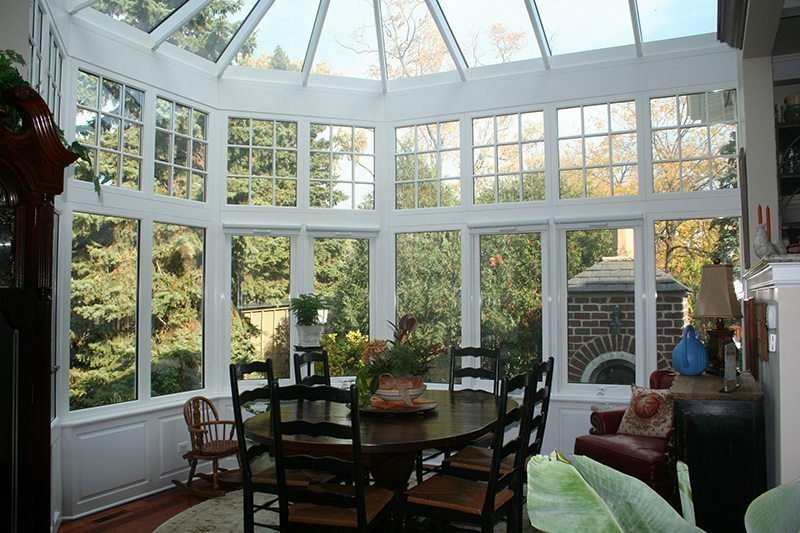 Conservatory Craftsmen was both the architect and builder on this Pella, lean-to sunroom, replacement project.